Just 120 meters from the train and bus stations. On AP-7 motorway take Exit 7 (Girona Sud). From N-II/A2 road, follow the indications for Girona Sud - Fornells de la Selva. In all cases, follow the indications for Girona Centre, which lead to carrer Barcelona (Barcelona Street). Having driven past the train and bus stations, on your left on Barcelona Street, turn right on next street, Ronda St. Antoni Maria Claret and turn right again on next street, carrer Juli Garreta. You will find Hotel Europa at number 23. From Exit 6B on the AP-7 motorway (Girona Oest) or from N-II / N-IIA road, follow the indications for Girona Nord and Centre Ciutat (city center). Once you access Girona, follow the signposts Hotels until you reach Gran Via de Jaume I Avenue. Turn right on street Francesc Coll i Turbau and follow the one-way directions which lead to street Ronda St. Sant Antoni Maria Claret. Following the signposts for Hotel Europa, turn right on street Juli Garreta. 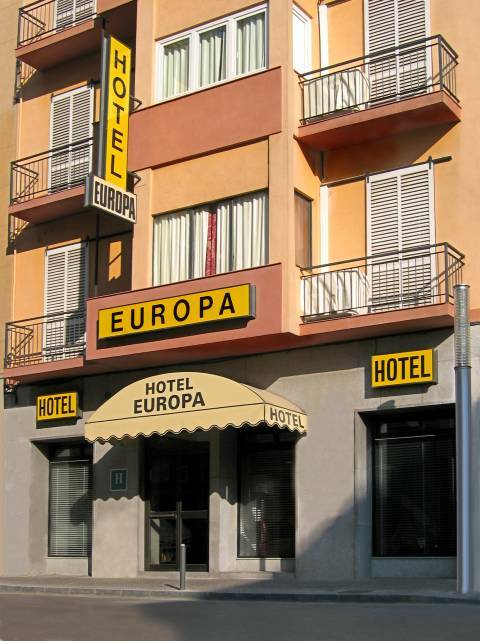 You will find Hotel Europa at number 23.